I happened to be in my hotel room in Cusco, Peru when an entertainment show featured Chudney Ross (Diana Ross’ daughter) and the grand opening of the new location of her children’s bookstore, Books and Cookies in Santa Monica, California. I couldn’t believe I had never heard of this store before since it is so close to home! 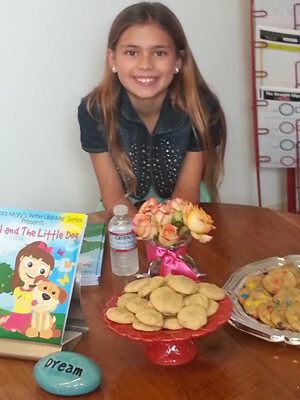 I remember thinking immediately of my youngest author at the time – 9-year-old Miranda Mary. I reflected how perfect Chudney’s store would be for Miranda to do a book signing there. Little did I know that this child would have more than thirty books to date waiting to be published. When I shared her story with Chudney, she was incredibly receptive and together we planned an event where she also invited her local children’s book authors and another one of mine. Needless to say, the event was a success. 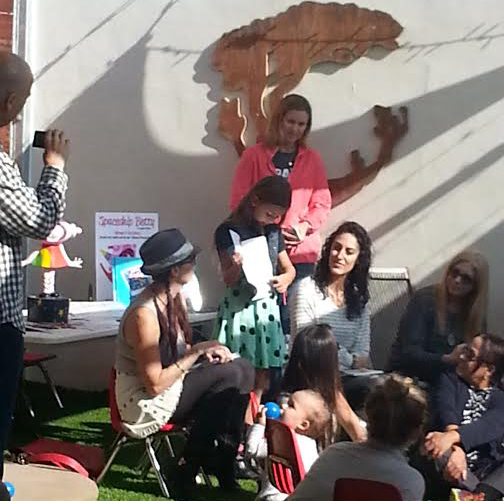 Perhaps one of the most astonishing aspects of this event was to witness how comfortable little Miranda was as she spoke to the children and their loved ones about her book, Angel and the Little Dog, the first of her Write Like Me Series. Chudney generously gave Miranda the proceeds and donations of the day, purely out of the kindness of her heart. Miranda Mary started writing at six when her first grade teacher introduced the author chair to her class. She told the children that if they would write a story, they would sit in front of the class and share it with them. Miranda was the first to write hers and read it aloud the very next day. From that point on, she began to write feverishly as if her life depended on it. While meeting her for the first time in her dad’s office, she explained she wanted to inspire other children to write like her. Hence, the title of her Write Like Me series. So, her parents and I helped her achieve her first dream of being a real published author. Since then, Miranda has spoken in front of her entire school, one class at a time, and the Keystone Academy in San Diego, known as the cornerstone for gifted children. She has been referred to as a scholar among her peers. She is currently writing her life story and a musical. Miranda is also the inspiration and the first graduate of Togo Productions’ Kids Book Writing Academy, the first of its kind that helps children become authors. 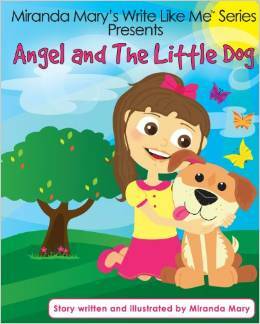 Angel and the Little Dog (for ages 3-7) highlights her story about a little girl who rescues a dog from a shelter. Her illustrations are featured in the first half of the book; she then encourages children to write their own story including their drawings about their favorite animal. This is a great keepsake for many years to come as well as a wonderful opportunity to share their experiences. Angel and the Little Dog is a great gift for Mother’s Day and, of course, adds pizzazz to any Easter Basket! It is my vision that Miranda Mary’s books become what Dr. Seuss books have been for so many children and generations in terms of writing. To think that it all began with the suggestion of a first grade teacher! Powerful!